In a move to slow the spread of a dangerous tree-killing pest, Maine forestry officials have expanded an emergency order stopping the movement of certain ash products and untreated firewood from infested areas. Forest officials warn of impending disaster after the discovery of the destructive emerald ash borer in Maine — for the second time. State officials are asking for the public's help in locating several ash trees sold by a major retailer in Maine this summer that may contain emerald ash borer. FRENCHVILLE, Maine - The state of Maine is issuing an emergency order to try to prevent the spread of an invasive pest that jeopardizes forests and wood products. A ban on the movement of ash in northern Maine is imminent, in the wake of the discovery of the invasive emerald ash borer in the region earlier this year. Officials with the Maine Forest Service say they're working on an emergency order that's expected to be issued within the next two weeks. That order could be followed by additional state and federal quarantines, officials say. The invasive and destructive emerald ash borer has spread to Vermont's capital city and officials say people should prepare for most of Montpelier's ash trees dying. Montpelier tree board chair John Snell says people have known for years that the insect was coming, since it was recently found in multiple surrounding states. Vermont Public Radio reports the city has put into effect a response plan to help deal with the tree-eating beetle. FRENCHVILLE, Maine - Maine forestry officials are holding a meeting near the Canadian border to address the discovery of a destructive forest pest in the state. 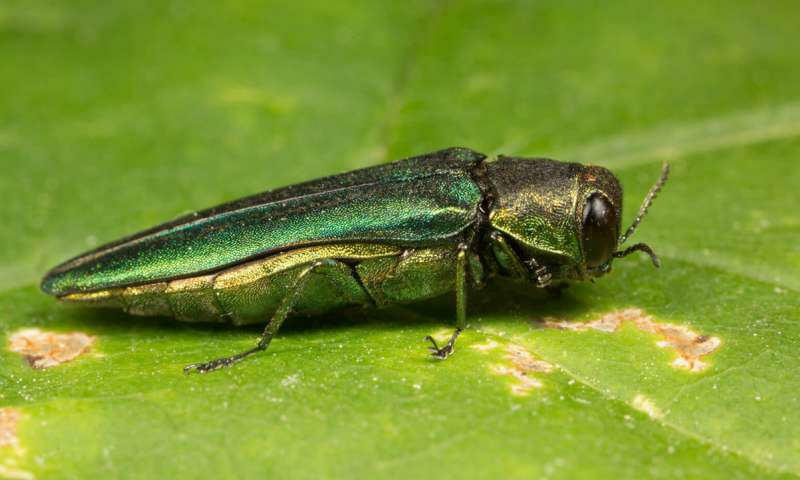 The Maine Department of Agriculture, Conservation and Forestry says the emerald ash borer was discovered recently in Madawaska, less than 200 yards from the Frenchville town line in Aroostook County. The agency and others are holding a public meeting Monday at 6:30 p.m. at the Frenchville Community Center. 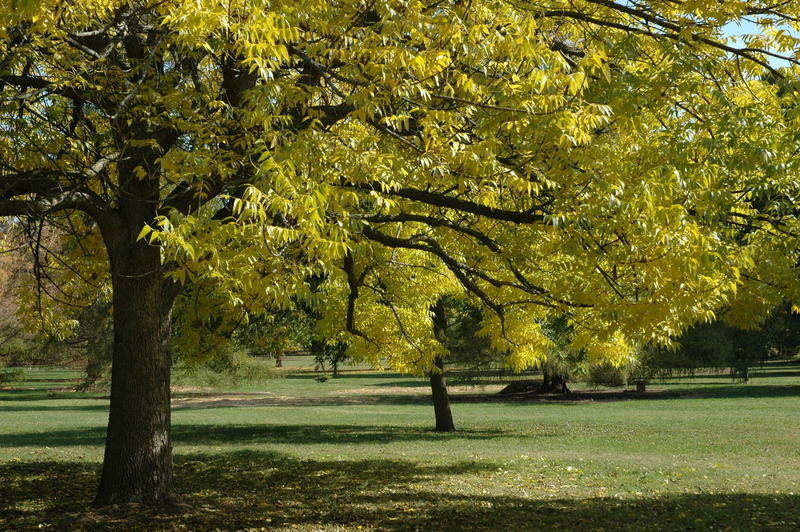 NEW YORK - A scientific group says five prominent species of ash tree in the eastern U.S. have been driven to the brink of extinction from years of lethal attack by a beetle. The International Union for Conservation of Nature says tens of millions of trees in the U.S. and Canada have already succumbed, and the toll may eventually reach more than 8 billion. 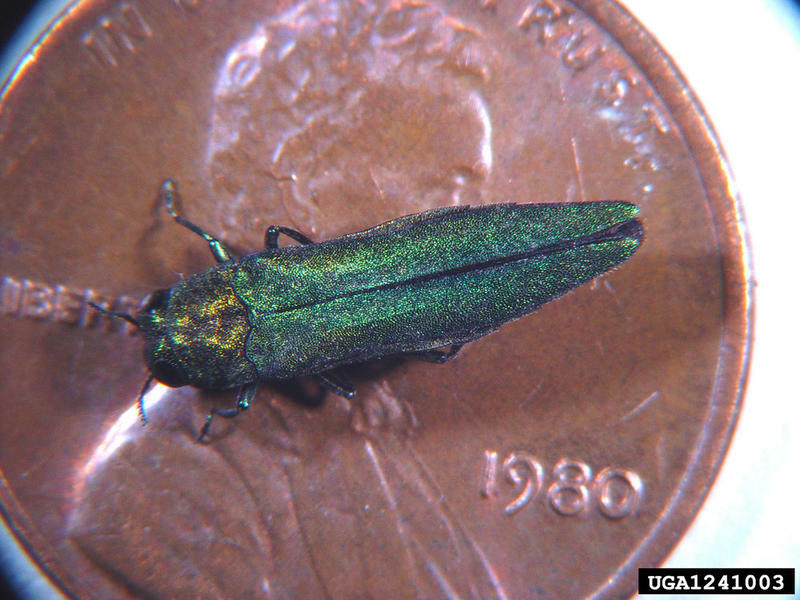 The pest is the emerald ash borer, which was accidentally introduced to North America in the late 1990s. PORTLAND, Maine - Visitors to Maine over the next couple of days could see some Maine Forest Service rangers at key locations. The rangers will be on the lookout for firewood visitors might attempt to bring in to the state because it could carry some destructive invasive insects. For several years, the Forest Service switched out visitors' imported firewood for homegrown wood, and embarked on an education campaign about the dangers posed by invasive insects. This year, rangers will simply take the illegal firewood and dispose of it properly.